– The Print Industry specific Training Institute to impart learning to professionals to make them intelligent technology drivers. “FUTURE SCHOOLZ is a new generation thinking platform created with a vision to take care of changing technological changes through continuous learning and development,” says Kulakkada Pradeep, CEO, FUTURE SCHOOLZ – a print industry specific training institute. 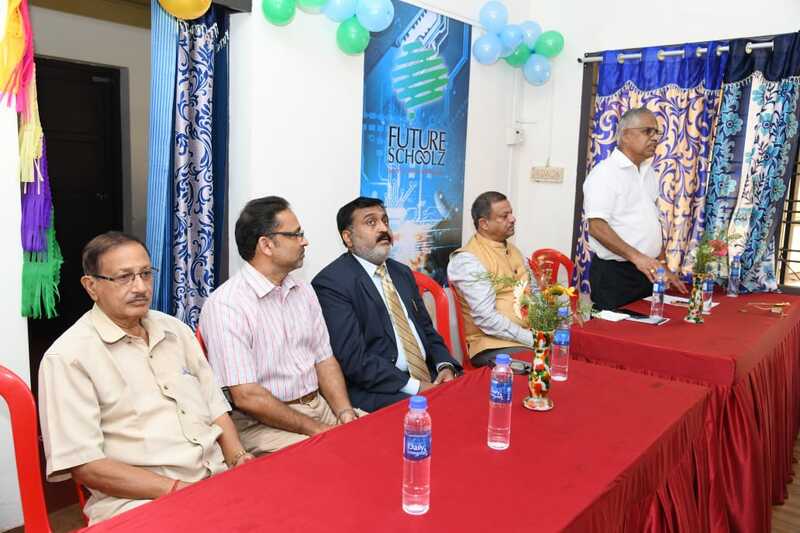 The institute got inaugurated on 14 July 2018 at Cochin by Prof Dr Rajendra Kumar Anayath, VC, Deenabandhu Chhotu Ram University of Science & Technology, Haryana. “This will make the much needed behavioural changes for new technology adoption, introduction of innovations, value added services, quality up gradation etc. We groom people through learning sessions, to group of printing presses, pre-press and of the design professionals. Supported by leading industry associations, we look at the issues through research methodology along with problem solving and analytical mindset,” adds Kulakkada. As in many business areas & even nations there is a disruption. In our industry too, a transition is taking place in a rapid pace from offering stand-alone traditional print to complimentary digital print & cross media services. There are many reasons for this transition. Print Buyers are responding to changing end-user behaviours and preferences. Integrated, smart & intelligent technology transition is taking place in every industry and education. The economics of print is continuing to change and the general trend is change of technology. The large boxes are no longer drivers of profit but software’s taking the lead. Improvements in productivity, reliability and quality have turned to be the key for cost-efficient print. “In an attempt to address upcoming & future challenges and help the industry, FUTURE SCHOOLZ is a platform enriched with technology professionals who can efficiently solve issues through real time solutions for the industry & modular syllabus for education,” continues Kulakkada. FUTURE SCHOOLZ endeavours to bridge the gap between new technologies and impart learning and development to the skilled labour and make them intelligent technology drivers who will become real profit drivers of tomorrow. The ceremony was presided by O Venugopal – Vice President (south) AIFMP and AMSG Ashokan – President AIFMP inaugurated the institute’s website. The initial courses will include costing and estimation in printing, pre-press management, colour management, 3D printing in advertisement and augmented reality in printing. “Our motto is to address all training needs right from an average operator to the CEO of any organisation. FUTURE SCHOOLZ offers a wealth of knowledge & experience helping businesses crystallize decisions to achieve new horizons and also help them find their core competency, market insights, identify opportunities and manage compliance. FUTURE SCHOOLZ has been inaugurated with its own modular curriculum,” concludes Kulakkada Pradeep. PROSPER S-Series Imprinting Heads Going Digital – When & How?